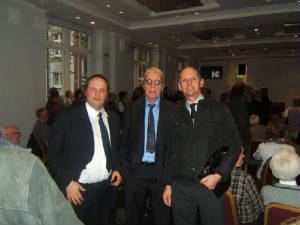 I was lucky enough to be invited to Ronnie's Book launch on 23rd October 2010. The Launch was held at the BAFTA building in London which seemed somehow appropriate. There I also picked up a copy of Ronnie's new book in which he talks about his career as a writer. It was good to meet up with Ronnie his wife Rose who gave a nice speech on behalf of Ronnie after he had said a few words. It was also a pleasure to meet again Ronnie Chesney his wife Pat, Stuart Allen and his daughter, 'Aitch' Harry Fielder, Craig who does much to help organise the fan club event, Tex Fisher and Gillian Bryant plus some other familiar faces. Ronnie Wolfe may be an unknown face to the public. But he is the name behind some of Britain's most successful comedies, such as The Rag Trade, Meet the Wife and On the Buses. 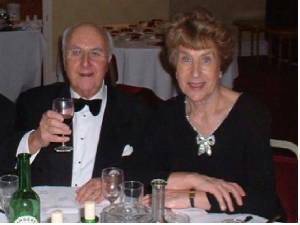 The 88-year-old has been writing radio and television comedies since the late 1940s, when he submitted his first scripts to the BBC. 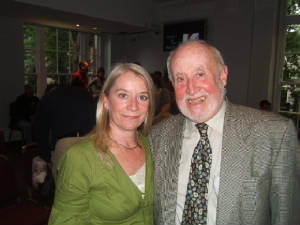 Six decades later, he has published his story, Ronnie Wolfe – My Life In Memoirs, launched at BAFTA last month. This is Ronnie's second book. The first, Writing Comedy, was published in 1992. 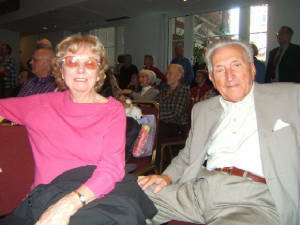 Ronnie's wife, Rose, a secretary, typed 95 per cent of Ronnie's scripts. She tells People: "The book is more anecdotal and humorous than a usual autobiography. "It covers aspects of his career with his writing partner Ronnie Chesney and provides an introduction to his background and how he got into writing. "It has been 40 years since On the Buses first hit the screens and it is still being replayed, mainly on ITV. It is successes such as this which have lead to the creation of this book." The memoirs were actually written 20 years ago, but it was decided to release them now because of the ongoing success of the programmes. "On the Buses has stood the test of time, but The Rag Trade was an innovative show at the time. There was no competition and it broke into the television market." 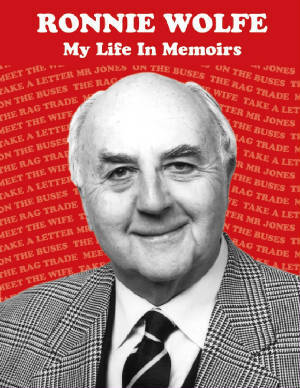 Ronnie notes in his memoirs that he became a writer when he flopped on stage as a comedy act. "I thought - that's it. Ill be a scriptwriter." He went on to work with some of the best-known TV actors such as Reg Varney, Thora Hird, Barbara Windsor and Gillian Taylforth. He added: "When you are writing comedy you can't be taught what to do. "You can be shown guidelines and shown how to get in to the business, but you have to have the basic talent."